Thinking of Selling? Christmas Might Be the BEST Time to Start! Nobody puts their home on the market during the Holidays, right? Who needs the disruption? And, beside that, what potential homebuyers are out looking at this time of the year? Lots of people think about selling in December, but they usually delay putting the house on the market until the new year. And, that may not be the best strategy! Zillow reports that the week between Christmas Day and New Years Eve is the busiest time for home searches on their site. More consumers look at real estate on Zillow between Dec. 25 and Jan. 1 than at any other time of the year! These are people who have a little time off from work to spend with family. They consider their housing situation and make plans for the coming year. They start looking at what’s available, at what they might be able to do. That’s why home searches spike on Zillow during this important week. Put your home on the market on December 26! Now all of those people searching will find your home. That, coupled with a powerful Help-U-Sell Marketing program could produce lots of showings. Co-ordinate with your Broker to hold a special Open House over New Year’s weekend . . . and you may be looking at multiple offers on New Year’s Day. Sometimes the best strategy is to discover what everyone else is doing and do the exact opposite. If your competition is waiting to sell, now could be your best opportunity. Contact your local Help-U-Sell office today and let us show you how we can deliver maximum exposure during this important marketing period. And then, plan a big celebration for the New Year! 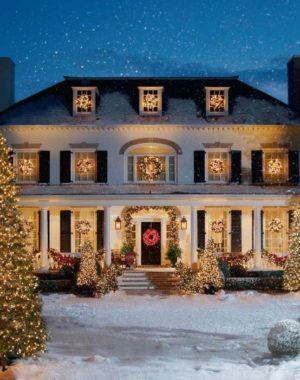 Author James DingmanPosted on December 20, 2017 Categories Help-U-Sell, Listings, MarketingTags Help-U-Sell, sell your home, Selling at Christmas1 Comment on Thinking of Selling? Christmas Might Be the BEST Time to Start!